Self-propelled scissor lifts are also called as Electric Scissor lifts or electric elevated work platform; they are used to provide temporary access for contractors to high, inaccessible areas on a variety of job sites such as maintenance and construction work. They are designed to lift limited weights and capable of being fully operated by a single person. It is unique in carrying capacity and a wide platform that can bring more workers and tool set, whether indoors or outdoors. 1. Roll-out extension platform provide more workspace. 2. Neatly folding guardrails make it easy to maneuver through doorways, into elevators and throughout other height-restricted areas. 4. Zero-turn radius and compact design provide access in and around confined work areas. 7. Single extension platform provide more workspace. 10. The control panels are available on the platforms and ground. Manual emergency platform lowing valve. When there is no power the machine can lower down safely. Emergency stops are at both platform and ground control boxes. When there is no power manual brake release function can move the machine under the circumstance when there is no other forklift, lifting equipment and so on. 2, Aerial Working Purpose: machine maintenance, painting, cleaning etc. Why to choose Bestmax Self-propelled Scissor Lift? All Bestmax MX-series adopt high-performance battery power, pollution-free and no emissions, low noise electric pump, can also be used even in the area of high environmental requirements, such as office buildings, hotel, hospital, school and so on. Fully proportional joystick control, either lifting or moving, all can easily operate in the joystick. Zero inside turning radius allowing users to use in a narrow space, and also facilitate changing positions. 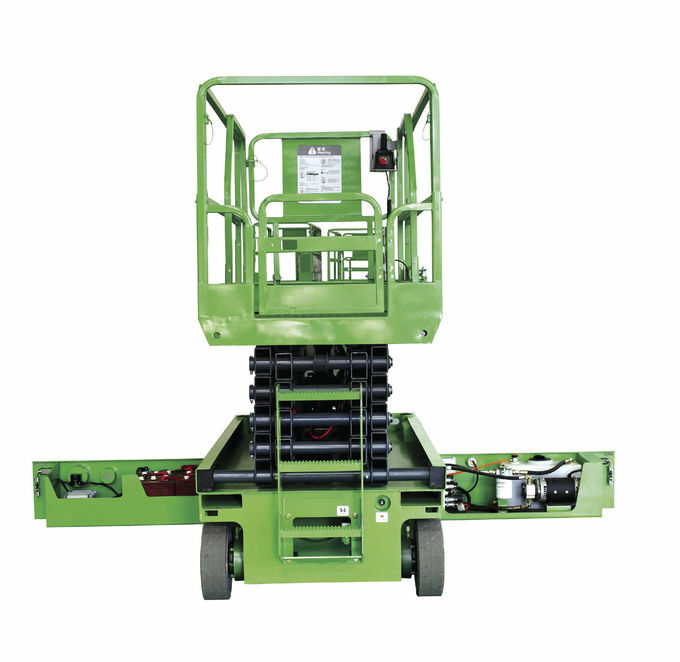 MX-series has two kinds of moving speed to secure move quickly and lift safely. All the MX-series scissor lifts have extended platforms which makes the operator get close to the work points much easier and breakthrough the space obstacles. Bestmax MX-series give full consideration to the convenience of the users in their daily work maintenance. 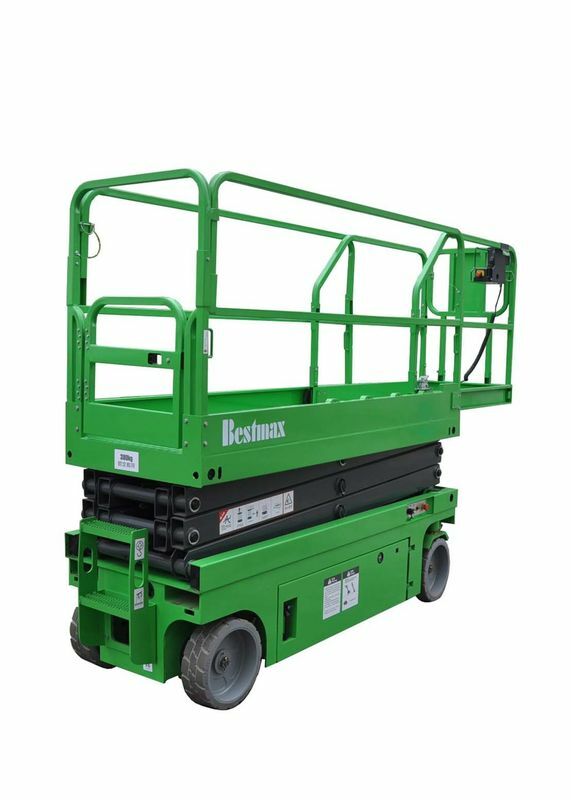 All the Bestmax Electric Self-propelled Scissor Lifts have fault diagnosis system, this makes the user can find the point of failure in one time. Door-open control box and battery box allow maintenance person to find the maintenance point quickly and easily. Also it is easier to change the spare parts. The scissor booms repair bracket, so that the user dose not need the help of lifting equipment, boom system can be easily overhaul.